Naamche Bazaar – The largest Sherpa Village. Hillary Bridge - Highest Suspension bridge. Local peoples, Old Monastries and Teahouses. Sagarmatha National Park and the beautiful Rhododendron Forests. Incredible Panoramic view of Mt. Everest, Lhotse, Ama Dablam, and other beautiful Mountain ranges. ‘Everest View Trek’ also known as Everest Panorama Trek is the short trek with tremendous breath stopping views and among the most popular trekking and hiking areas in the Khumbu Everest Regions of Nepal. One can observe the fantastic panoramic view of Everest in just few days. Everest View Trek offers you the fabulous views of mountains as well as introduces you to the Sherpa culture and traditions. The route is filled with adventures and opportunities to explore Himalayan Region. Along with the beauty the path is quite dangerous and high in altitude. 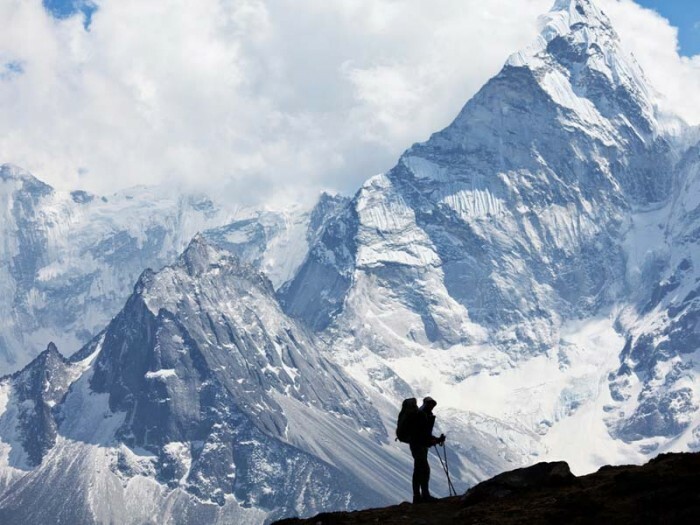 Trekking to Everest has been the once in a life time dream of thousands of peoples. The mountains Touching the sky, scattered Sherpa settlements reflecting their culture and religious integrity, rich biodiversity and ecosystem, breath taking landscapes are the ultimate factors that makes this expedition more exciting and peaceful. If you are short on time, Everest Panorama Trek is the best option. 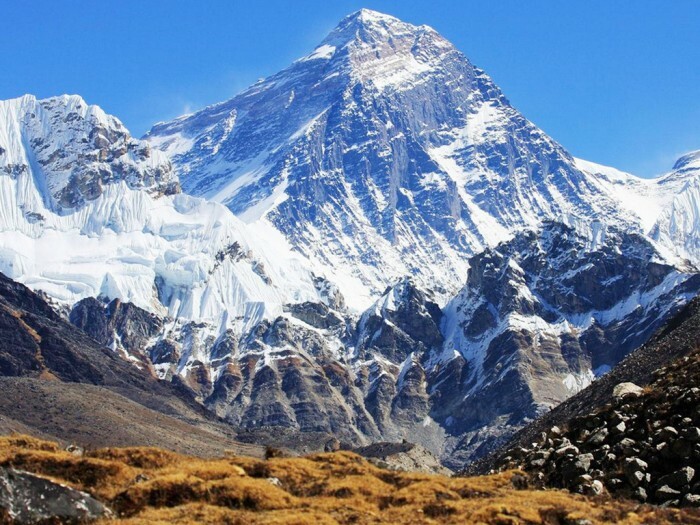 Everest Short Trek is the best way to experience the Everest region with your limited time. Everest View Trek starts with a spectacular flight to Lukla and taking a step to UNESCO world natural heritage site Everest National park. The Park to conserve endangered species and nature in The Everest Region. ‘Namche Bajaar’ the most developed town in Himalaya region and main trading center. The place likes Tengboche, Khumjung, Monjo are the spots to enjoy in our route. Rhododendron forests, Pine forests and marvelous waterfalls and other lush vegetations are the famous attraction on this trek. In Everest Region of Nepal, you can fid the influence of Tibetan Buddhists culture and its resemblance can be seen on the prayer flags, chortens and Gumbas found all over the way. The Tenboche Monastry is a spiritual hub that helps you uplift your spiritual perspective. Therefore Everest View Trek is also considered as a fusion of nature and culture. Flight from Kathmandu To Lukla and Back from Lukla to Kathmandu. Welcome to Kathmandu. We’ll be there to welcome you and transfer you to the hotel. There will be short briefing at hotel. As we don’t have any planned activities for today, you can relax at the hotel and enjoy your overnight stay at hotel. Today, we will start our journey to Lukla (2850m) which takes around 30-40 minutes by air. By reaching there, we refresh for some time and continue our journey to Phakding on foot. Following the bank of DudhKoshi River we will reach down to Phakding. Will enjoy the whole day around Phakding; visit old Monastries. Overnight stay at Tea house. After having breakfast in Phakding we will head to Naamche Bazzar, the gateway to Mount Everest. Than the trail follows the Dudhkoshi River via a long suspension bridge and then through the beautiful Pine forest of Monjo, about two hours away. After check-in to Sagarmatha National Park, we will descend through Dudhkoshi river to Jorsale. We will stop for launch and then we will climb the Hillary Bridge (Highest Suspension Bridge). You will have the first view of mount Everest, if the weather is clear. Dinner and Overnight stay at the largest Sherpa Village; Namche Bazzar. We will have breakfast early in the morning and start climbing up to Everest View Hotel through Syangboche. From the Everest view hotel you will explore the incredible panorama view of Mount Everest, Lhotse, Ama Dablam and other beautiful Mountain range. After enjoying the view we will continue our journey to the traditional Sherpa villages of Khunde and khumjung. You can also explore the Khumjung Monastry, which has the scalp of Yeti.Then we will be back to Namche via the small runway in Syangboche. Here, you can spend your time in bars and bakery enjoying with your friends. After having breakfast we will descend to Hillary Suspension Bridge and pass through the numerous local villages. This is our last evening in Teahouse. We will have our dinner and stay overnight at Lukla. We will head to Lukla Airport early in the morning and fly back to Kathmandu. You can explore around Kathmandu for shopping. Dinner in hotel. Overnight stay in Kathmandu. You will be transported to Tribhuwan International Airport for our final departure.